Welcome to another blog tour, and I can tell you now that I you haven’t already been convinced to read this book then I recommend that you just get yourself to a book store, buy your copy and settle down for a one sitting read! This little book was dynamite ready to explode, such a fast paced, gripping gritty read. 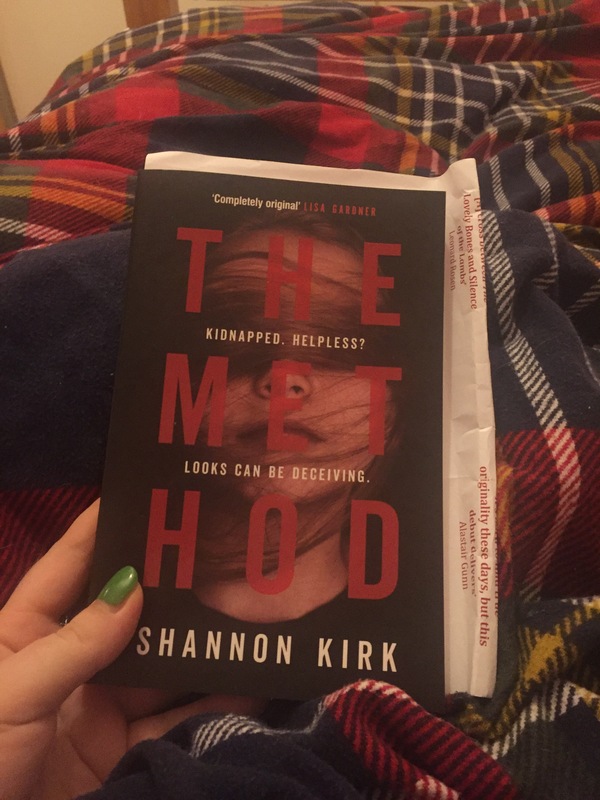 Was rather fabulous… I’d like to start by thanking Clara from Little Brown and Shannon Kirk for sending me this book to read and review and for the opportunity to be part of this blog tour. Aged sixteen and pregnant, now kidnapped; her unborn child is now at risk, as well as her own life, from the captors. But she is different, a manipulative science prodigy, she is determined to use all that her captors give her in order to escape. Calculating and methodical, it was a mistake for them to kidnap her. This was such a fascinating read, with a concept I’d never seen before. Sure I have read plenty of kidnaping stories, but never with such a clever, manipulate protagonist- who is also the kidnapped. Instantly intrigued, I went into this really excited to see the alternative spin, and it did not disappoint. If only I hadn’t been so busy with real life, I would of got through this book in a day; the writing was quick and speedy and I just flew through it. However, at times I did find that the narrative could go off topic. Well it was on topic, but I felt it added very little to the story. A couple of these times I found that I was actually being put off and tempted to then fly through to the next chapter that was back to the case. In addition, the final chapter probably didn’t need to be half as long as it was as it almost seemed like the start of a new novel rather than the tying together of the end of one. Although saying this, the moments that seemed unimportant, were rather short, and back to the main plot rather quickly. All in all, this novel gave me a really creepy vibe, but I mean this in the best sense. It had me gripping on a little tighter to my blanket and keeping my light on full while I was reading. Reason behind this, the sheer cold, distant scheming personality of the main protagonist. She was amazing to read from, but oh my was she kind of creepy. I don’t want to give too much away, but it was the sheer amount of control she had over all her emotions, and her ability to calculate her escape under such intense pressure- a fabulous touch to this thriller novel. In the end I gave this novel 3.5 stars, but don’t let this put you off of reading it as it was amazing and a great quick little read. I will be doing a one sitting reread with this book as I really wish I had started it of a morning so I could of read it all in a day, as I can see this being a way to enjoy it even more due to the fast paced speed of this whole plot. As I said earlier, go read it- you will not regret it.